It seems the weather is finally matching the season and with that, it’s time to explore Easter fashion for the entire family. The truth is whether you celebrate Easter, Passover or simply spring, everyone can embrace the bold colors that start to break free in wardrobes this time of year. There is one key to remember when it comes to Easter fashion: pick one focal area for your color palette and then pick complementary colors to work around it. For example, don’t stick to the standard pink and blue pastels for the kids. Try a sunny yellow dress for girls (like the one pictured below) or even a pair of blue loafers on your tween and teen boys. As long as you don’t force them to dress like an Easter egg from head to toe, they might be more willing to step outside of their color comfort zone. 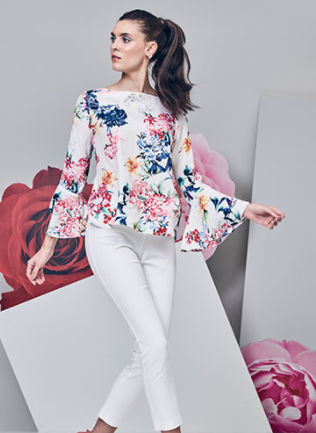 For us ladies, play with florals, but just on one area of your body (like this beautiful bell sleeve blouse). And don’t be afraid to try a white pant; it bridges the gap between classy and casual beautifully. 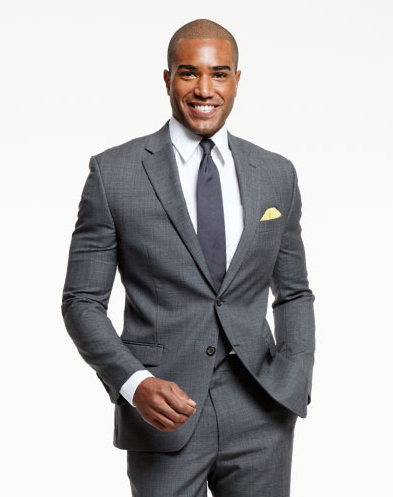 And for the guys, go for a pop of color with a fun accessory like a bow tie, socks or even just a pocket square. Trust me, the ladies love a guy who isn’t afraid of a little color. And gone are the days of matchy-matchy for family pictures. Again, find complementary color schemes or one color that everyone can wear in some shade, somewhere within their outfit (blue is typically great for this trick). Whatever you do this week, remember to wear your smile; after all, holidays are all about coming together as friends and family.